This is a 8 Inch Hand Forged Sirupate Kukri.Sirupate Kukri is one of the bestselling Khukuris of FGKH. 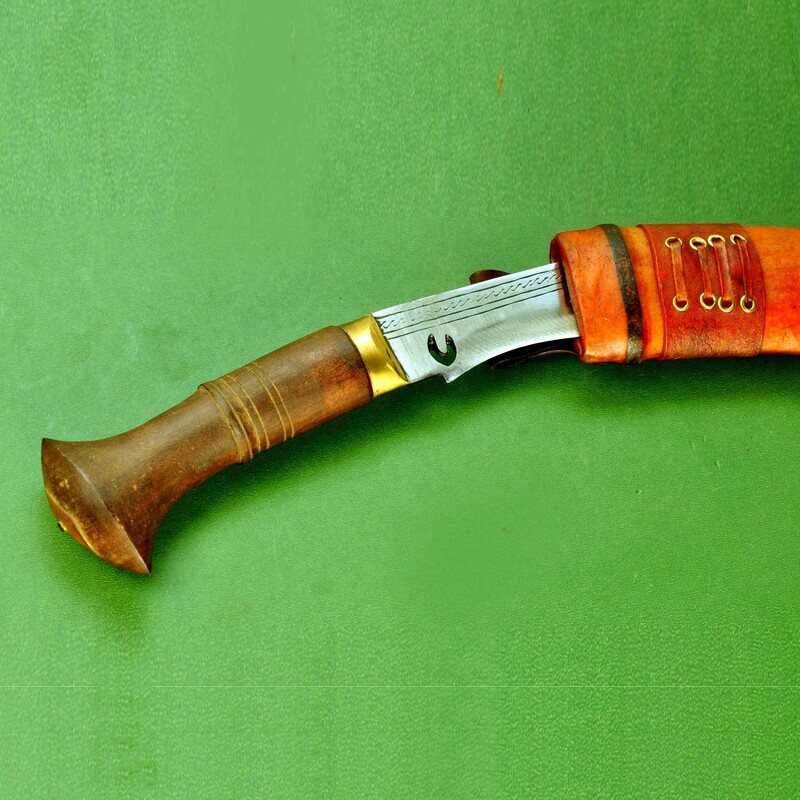 This Khukuri has a polished handmade 8 inch blade made up of Highly graded Carbon. 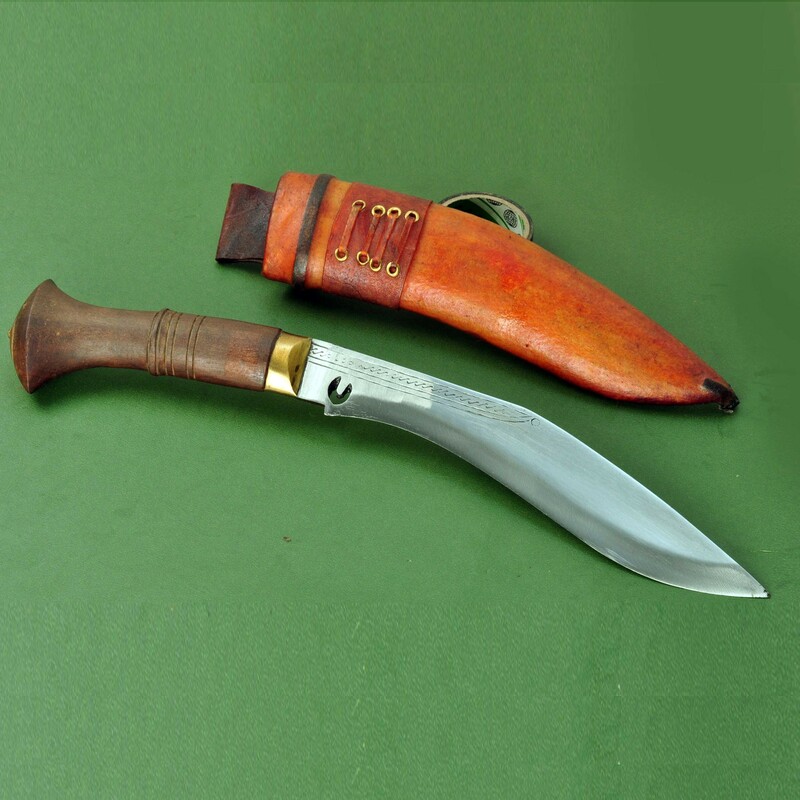 It is a fixed Blade Handle.The handle is 5” and made up of rosewood which is glued together by traditional Nepali glue called Laha. The sheath or scabbard is made up of water buffalo leather.The khukuri comes with a set of small accessory knives which are used for sharpening and polishing. The overall length of the blade is 13 inch and weighs about 400 gms. This Khukuri is primarily used in the villages of Nepal for cutting bamboos and trees and also for daily activities like meat and vegetable cutting. Weight: 400 gms (14 Oz Approx).